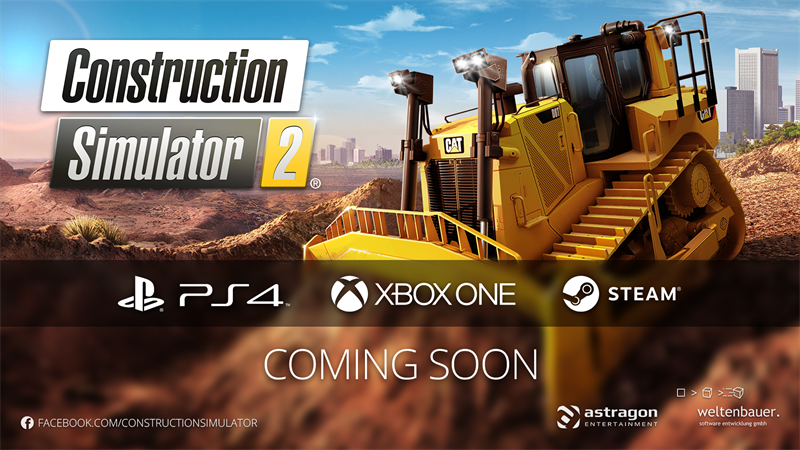 Construction Simulator 2 soon to be available on PC and consoles! Mönchengladbach/Germany, July 10, 2018 – astragon Entertainment GmbH and weltenbauer. 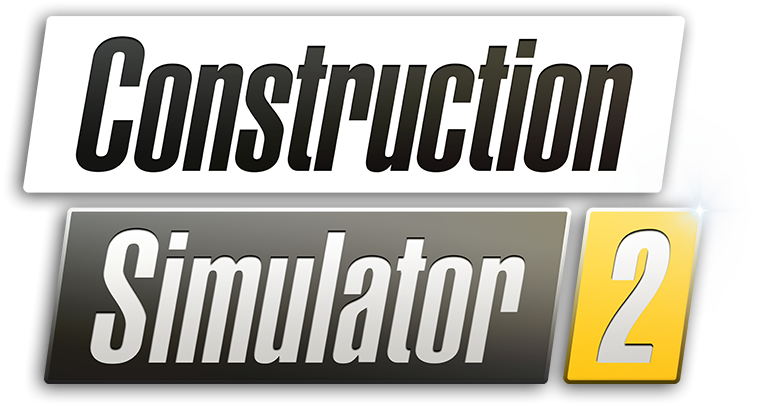 Software Entwicklung GmbH are happy to announce two new additions to the popular Construction Simulator franchise: the Construction Simulator® 2 US – Console Edition as well as the Construction Simulator® 2 US – Pocket Edition for PC. With this they are fulfilling the fervent wish of construction simulator fans worldwide to bring Construction Simulator® 2, which is currently only available for users of mobile devices, to PlayStation®4, Xbox One® and PC. The Construction Simulator® 2 US – Pocket Edition will offer PC gamers the opportunity to demonstrate their abilities in handling numerous new US vehicles and construction machines. 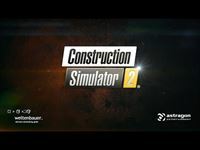 The Construction Simulator® 2 US – Console Edition will in turn bring the entertaining construction missions of Construction Simulator® 2 to PlayStation®4 and Xbox One® for the first time in the history of the game series. With Construction Simulator® 2 US – Console Edition and Construction Simulator® 2 US - Pocket Edition the developers of weltenbauer. will make the dreams of many PC and console gamers come true: Just as in the mobile version of the game both editions will include numerous construction vehicles and machines by famous US makers such as Caterpillar, Liebherr, PALFINGER, Bell Equipment, ATLAS, STILL, Mack Trucks, MEILLER Kipper and Kenworth. The authentic US setting offers over 60 varied and challenging building contracts and missions in which players will not only be able to excavate building pits, control gigantic cranes and pour concrete to their heart’s content, but also tackle road construction in the fictional state of Westside Plains. Construction Simulator® 2 US – Pocket Edition for PC on Steam™ as well as the Construction Simulator® 2 US – Console Edition for PlayStation®4 and Xbox One® will be released in digital stores within the next couple of months. ©2018 Valve Corporation. Steam and the Steam logo are trademarks and/or registered trademarks of Valve Corporation. All other trademarks are property of their respective owners.